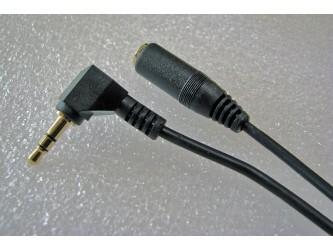 A cable typically used for connecting a balanced microphone to a 3.5 mm microphone socket on a domestic recorder or camera. Available in 1 and 2 metre lengths. 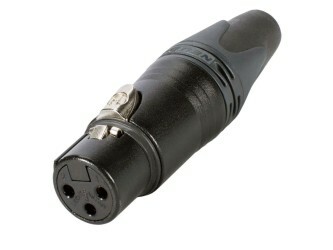 Mono XLR (3 pin female) to 3.5mm stereo plug. 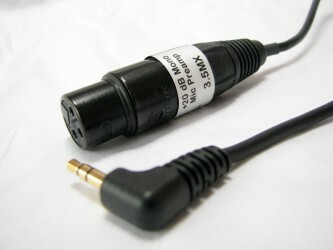 A lead to typically connect a professional XLR microphone to the 3.5mm microphone socket on a domestic recorder, camcorder or laptop or desktop PC. The audio is fed to both left and right tracks of the recorder. Made in England by FEL. 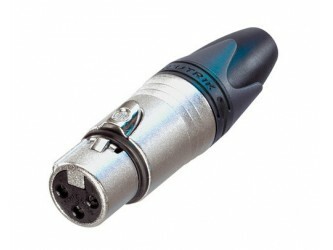 The microphone connector is a 3-pin female (socket) XLR suitable for most professional mono microphones. 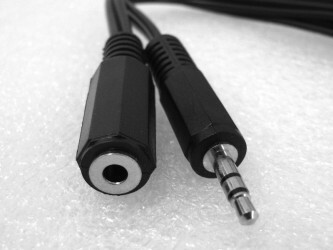 The recorder connector is a 3.5 mm (1/8th inch) stereo minijack plug. This plug is suitable for the vast majority of Cameras, DVs, Camcorders, Minidisc, DAT, and disc recorders, along with most laptop and desktop computers. 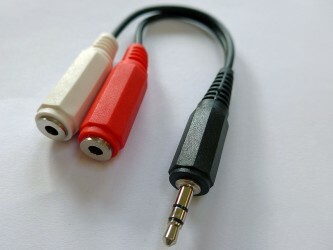 This cable can be used instead of certain adaptor boxes designed for camcorders. 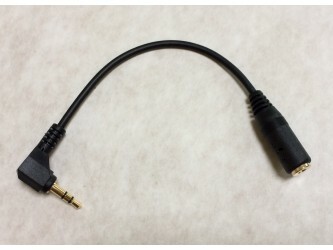 This cable unbalances the audio signal from the microphone. With a short cable this will not be a problem. If the cable length is extended then the system may be prone to interference from electrical sources, this could include mobile phones, lighting dimmers and other mains operated equipment. The mono signal from the microphone is fed to both left and right tracks of the recorder. 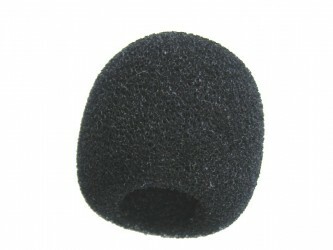 The 3.5mm plug is right angled which reduces possible strain on the recorder socket. 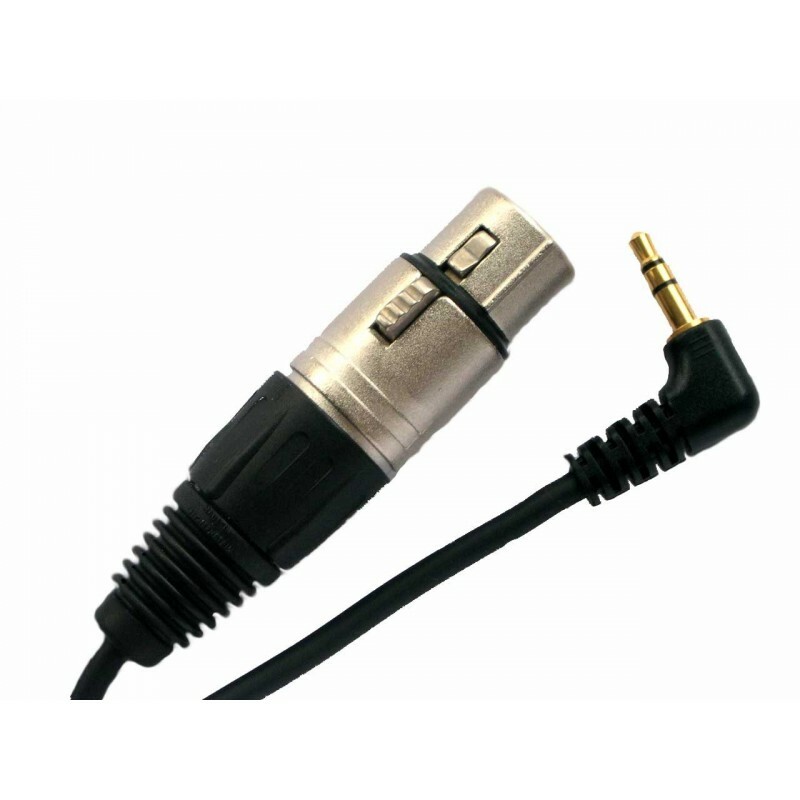 The plug has gold plated contacts to minimise the signal transmission loss and accurately deliver the original sound. 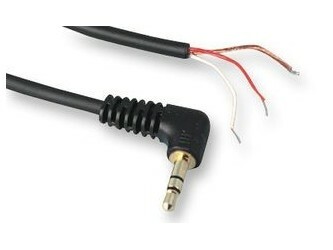 The cable is screened and lightweight which avoids excessive strain on the connectors.